The former top 10 player provides an update about his current health. 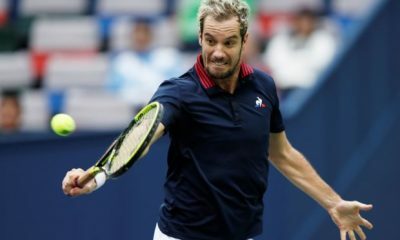 Former world No.7 Richard Gasquet has said that his muscles have been unaffected by recent surgery that has undergone as he continues his recovery process. The 32-year-old underwent an operation last month to treat a hernia that he been troubling him in recent time. Gasquet hasn’t played a match since his loss to Jack Sock in the second round of the Paris Masters in November. 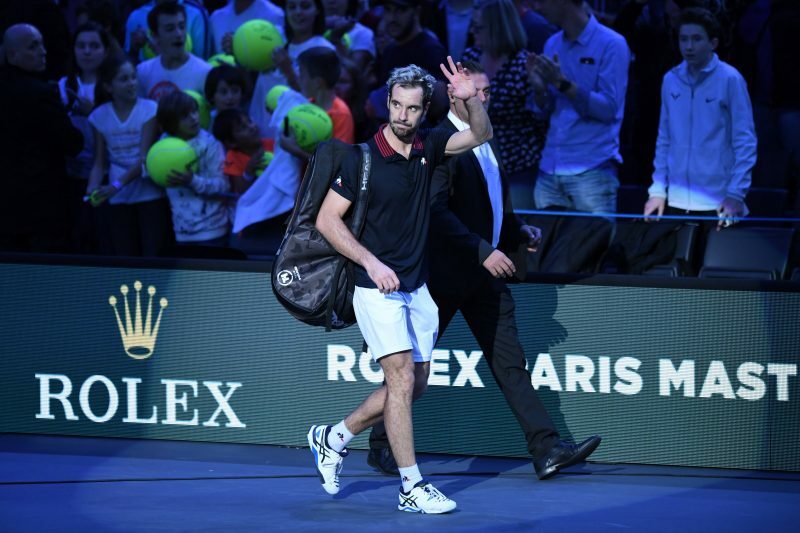 Prior to the operation, the Frenchman had been forced to miss both the Davis Cup final and Australian Open due to injury problems. “After the operation, I did not walk for a week. I felt great pain. There is a big scar. Then I started the rehabilitation with walking and cycling. It’s a long process.” Gasquet said during an interview with Midi Libre. It is unclear as to when the three-time grand slam semi-finalist will return to the tour. 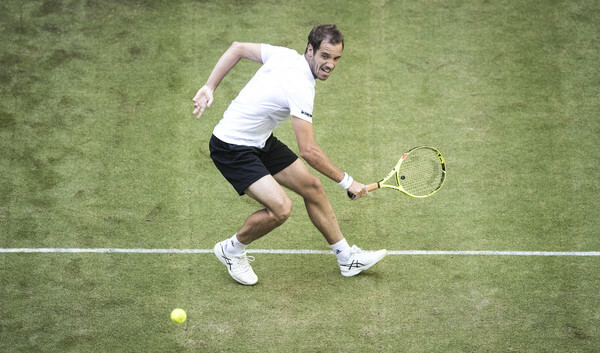 It has recently been confirmed that Gasquet have pulled out of the BNP Paribas Open in Indian Wells. A Masters 1000 tournament that will get underway on March 4th. 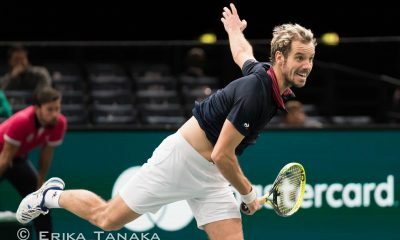 The lengthy absence will result in Gasquet dropping further down the rankings and potentially out of the top 50 for the first time since May 2010. He is currently ranked 27th in the world on the ATP Tour. “I try to do the best. I do not project myself yet on a date of recovery.” He explained. Nevertheless, Gasquet is seeking solace in what has been a fairly smooth rehabilitation process so far. Raising hopes that he may be able to return in time for the start of the clay season prior to the French Open. A grand slam tournament he hasn’t missed since 2009. “For now, I’m on time. We will try to make sure that it goes as quickly as possible by treating the best possible.” He concluded. So far in his career, Gasquet has won 15 ATP titles. He has finished four seasons ranked inside the top 10 (2007, 2012-13, 2015). Kei Nishikori cruised past Canadian 18-year-old Next Gen star Felix Auger Aliassime 6-1 6-3 after 1 hour and 24 minutes to secure his spot at the Barcelona Open Banc Sabadel. Nishikori, who won two consecutive editions of the Barcelona tournament in 2014 and 2015, is the first player to converted his fifth break point chance at deuce in the opening game of the first set. The Japanese star broke twice in a row in the fifth na seventh games to seal the opening set 6-1. Auger Aliassime had no break points. The Japanese player went up a set and a break in the fourth game after a double fault in the fourth game after a double fault from Auger Aliassime. The young Canadian player earned fifth break points in the fifth game, but Nishikori held hs serve to surge into a set and a 4-1 lead. Auger Aliassime broke serve at love in the seventh game at love to claw his way back to 3-4. 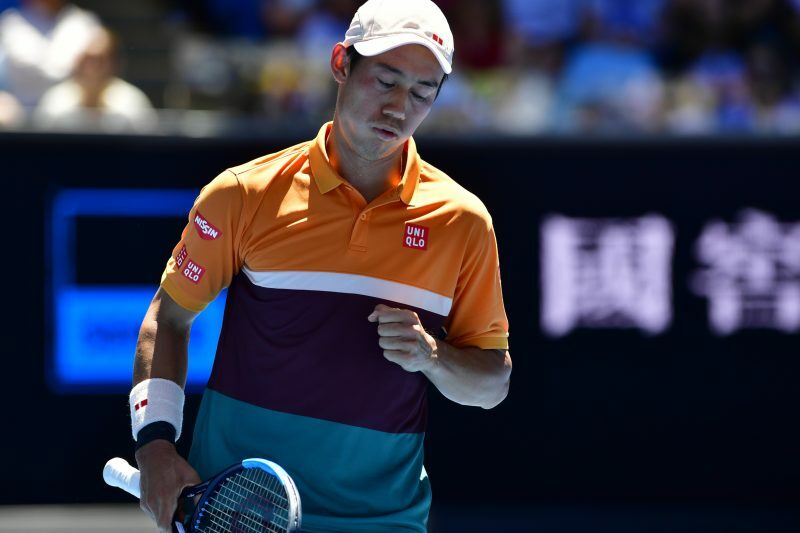 Nishikori broke straight back in the eighth game on his third chance and served out the win on his first match point. Nishikori has a win-loss record of 21-5 in eight appearances in Barcelona. 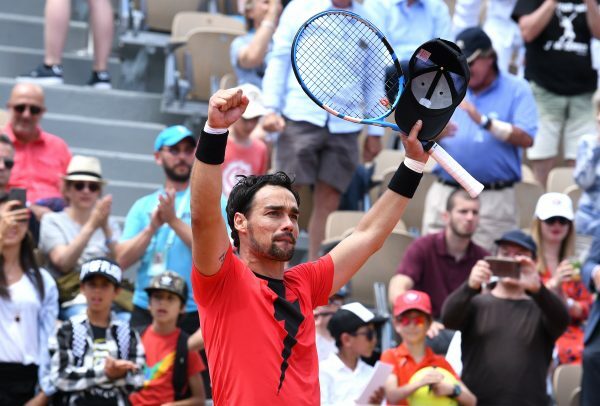 He started the season with a title in Brisbane, bu he lost in his opening matches to Dusan Lajovic in Miami and to Pierre Hugues Herbert in Monte-Carlo. Nishikori will face either this year’s Houston finalist Christian Garin or Roberto Carballes Baena. Dominic Thiem defeated Spain’s Jaume Munar 7-5 6-1. The Austrian player got the first break in the fifth game to take a 3-2 lead, but Munar broke straight back in the sixth game. Thiem broke again in the 11th game at 15 after a double fault from for 6-5. He converted his second break point chance in the 12th game for 7-5 at deuce after saving a break point. After a rain delay at 1-1 Thiem broke three times in the third, fifth and seventh games to seal the second set 6-1 on his first match point. Danil Medvedev beat US Mackenzie McDonald 6-3 6-2 in 80 minutes setting up a quarter final match against Grigor Dimitrov or Chilean lucky loser Nicolas Jarry, who beat 2018 Nitto ATP Finals champion Alexander Zverev. McDonald started the first game with an immediate break in the opening game. The US player saved three break points to hold serve for 2-0. Medvedev converted his third break-back point in the fourth game to draw level to 2-2. The young Russian player saved three break points in the fifth game before breaking serve in the eighth game to win the first set 6-3. The second set started with four breaks in the first five games, Medvedev converted his second break point in the first game of the second set, but McDonald broke straight back at love to draw level to 1-1. Medvedev broke twice in a row in the the third and fifth games to open up a 4-1 lead and served out the win on the first match point. 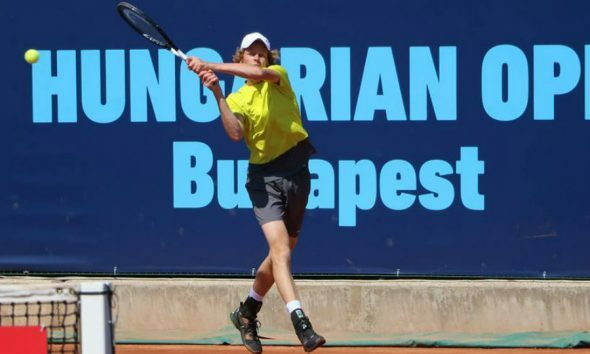 Seventeen-year-old Italian lucky loser Jannick Sinner overcame Mate Valkusz 6-2 0-6 6-4 after 1 hour and 34 minutes to become the first player born in 2001 to clinch an ATP Tour win. Jannik Sinner has won his first ATP Main Draw Tour match. He entered the Maid Draw as a lucky loser when Monte-Carlo finalist Dusan Lajovic withdrew from the tournament due to an elbow injury. Sinner went up a double break to open up a 4-0 lead. Valkusz pulled one break back at love in the seventh game, as Sinner was serving for the first set at love. Sinner sealed the first set with his third break in the eighth game after a double fault from Valkusz. Valkusz broke three times to take a bagel win in the second set sending the match to the decider. Sinner broke serve in the second game to race out to a 3-0 lead. Valkusz got the break back in the seventh game to claw his way back to 3-4. Sinner broke serve in the eighth and tenth games to seal the win with a forehand winner. Sinner won an ATP Challenger in Bergamo and two Futures in Trento and Santa Margherita di Pula in 2019 and will break the top 300 for the first time in his career after starting the year as the world number 546.Sinner will take on Serbia’s Laslo Djere for a spot in the quarter final. Sinner is coached by Andrea Volpini and trains at the Riccardo Piatti’s Tennis Centre in Bordighera. Frenchman Pierre Hugues Herbert beat Matthias Bachinger 7-5 6-2 after 81 minutes to advance to the quarter final. Bachinger earned a double break in the first and third games to race out to a 5-1 lead, but he wasted a set point at 5-2. Herbert won five consecutive games with two consecutive breaks to clinch the first set 7-5. Herbert reeled off four consecutive games with two breaks in the sixth and eighth games to win the second set 6-2. Herbert will face world number 246 Attila Balasz, who stunned last year’s finalist John Millman 6-4 2-6 6-4 after two hours and two minutes to reach his first quarter final since Bucharest 2012, when he lost to Fabio Fognini in the semifinal. He made his come-back from injury after missing seven months due to a hip injury. He was sidelined for two years by serious injury problems and returned to action in August 2016 playing in the ATP Challenger Tour. The Hungarian player, who beat Hubert Hurkacz in the first round, broke serve three times and saved seven of the nine brek points he faced. Balasz got a break in the fifth game and closed out the first set in the 10th game with a service winner. Millman won four consecutive games to take the second set 6-2 with two consecutive breaks in the sixth and eighth games. Balasz fended off all six break points in the third set and broke twice in the first and seventh games to take a 5-2 lead. He served out the win after saving three break points in the eighth game. Uruguay’s Pablo Cuevas edged qualifier Yannick Maden 6-3 3-6 6-4 after 2 hours and seven minutes. Cuevas converted all his four break point chances. Cuevas broke twice in the third and ninth games to win the opening set 6-3. Maden earned an early break in the first game of the second set. Cuevas broke back in the fourth game to draw level to 2-2. Maden won three consecutive game with two breaks to close out the second set 6-3 forcing the match to the third set. Cuevas got the decisive break in the third game of the decider. Cuevas will face last year’s Australian Open finalist Marin Cilic. Felix Auger Aliassime beat Malek Jaziri 6-3 7-6 (9-7)at the Barcelona Open Banc Sabadel. The 18-year-old Canadian Next Gen player got an early break in the second game of the second set to open up a 2-0 lead. Jaziri broke straight back in the third game at 15. Auger Aliassime broke for the second time at love in the fourth game to open up a 3-1 lead and held his next three service games without facing any break points to close out the first set 6-3 with a backhand winner. Jaziri saved a break point in the 5th game and two more opportunities in the 11th game, but he held his serve. There were no breaks until the tie-break. Jaziri did not convert two set points at 6-5 and 7-6 before Auger Aliassime hit a backhand down the line at 8-7 to clinch his 16th win of the season after 1 hour and 46 minutes. 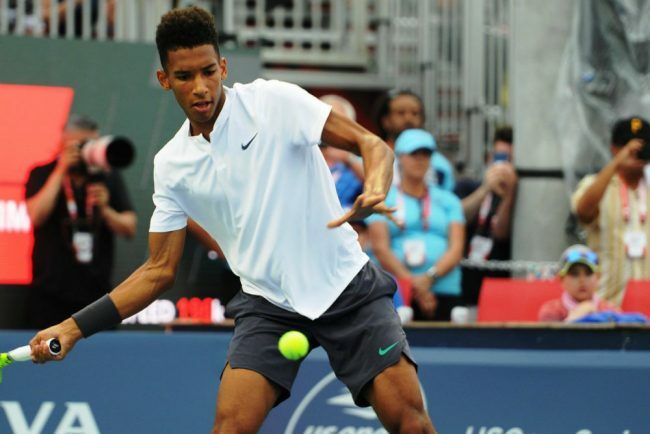 Auger Aliassime set up a match against 2014 and 2015 Barcelona champion Kei Nishikori. In this year’s clay tournaments played this year the young Canadian reached the final in Rio de Janeiro and lost to Alexander Zverev in the second round in Monte-Carlo last week. Thirty-seven year-old Spanish veteran player David Ferrer cruised past 15th seed Lucas Pouille 6-3 6-1 after 1 hour and 16 minutes. Ferrer broke serve five times and saved four of the five break points he faced. Ferrer got two breaks in the fifth and seventh games to open up a 5-2 lead, but he was not able to serve out for the first set. The Spanish legend broke serve for the third consecutive time in the ninth game to seal the first set 6-3. Ferrer dropped just four points on his first serve points and earned two breaks in the second and fourth games. He fired a service winner in the seventh game to close out the second set 6-1. Last week’s Monte-Carlo semifinalist Danil Medvedev edged past qualifier Albert Ramos Vinolas 6-3 2-6 6-1 after 1 hour and 50 minutes. Medvedev got five breaks and saved five of the six break points. Medvedev broke twice in the third and ninth games to win the first set 6-3. Ramos Vinolas came back from an early break down in the second game by earning three consecutive breaks to force the match to the decisive set. Medvedev broke twice in a row and closed out the decider with a hold at 15 securing a spot in the third set. “I am really happy with the way that I finished the match. The first and third sets were a really good level”, said Medvedev. Grigor Dimitrov overcame 2010 champion Fernando Verdasco 6-2 6-7 (4-7) 6-2 to advance to the third round at the Barcelona Open Banc Sabadel. Dimitrov converted his second break point chance in the fourth game to take a 3-1 lead after a double fault from Verdasco. The Bulgarian player saved four break points to hold his serve in the fifth game for 4-1 and closed out the first set 6-2 with a double break in the eighth game. Dimitrov held his first service game after saving two break points. Verdasco fended off three break points in the sixth game, but he converted his second break point chance to take a 4-3 lead. Dimitrov broke straight back at 15 to draw level to 4-4. Both players held serve in the next four games en route to the tie-break. Verdasco earned four set points at 6-2. Dimitrov saved the first two set points, but Verdasco converted his third chance with an ace. Dimitrov went up a double break in the first and third games to race out to a 4-0 lead. Verdasco fought back by winning three consecutive games for 3-4. Dimitrov held his serve before closing out the third set 6-2 with his third break. This year’s Houston champion Cristian Garin upset Denis Shapovalov 7-5 6-2. Shapovalov drew the first blood by converting his third break point to take a 3-1 lead. Garin broke straight back in the fifth game and held his serve at love to draw level to 3-3. Both players held his serve in the next four games before Garin broke serve at deuce after a double fault from Shapovalov. Garin served out 7-5 in the 12th game. Garin went up a double break to race out to a 5-1 lead. Shapovalov saved a match point in the seventh game, as he was serving to stay in the match. Garin served out the win on his second chance in the eighth game. Mackenzie McDonald saw off 11th seed Gilles Simon 6-3 6-2 after 1 hour and 16 minutes. McDonald, who entered the Barcelona tournament with no wins this season, saved seven of the eight break points he faced and broke serve five times. Roberto Carballes Baena replaced Fabio Fognini, who withdrew from the tournament after his triumph in Monte-Carlo. The Spanish lucky loser, who won in Quito this year, fought back from losing the first set to edge his Spanish compatriot Nicola Kuhn 6-7 4-7) 6-4 6-2. He will face either Denis Shapovalov or this year’s Houston champion Christian Garin. How Many Points Are Rafael Nadal, Novak Djokovic And Co Defending On Clay?